Shakeology - "The Healthiest Meal Of The Day"
Shakeology was first introduced to me by my wife Lorin who loves all and anything that her good friend Rachel tells her to buy. When I saw this new product come to my door and on my credit card bill I was skeptical. Then I started to research and try the product and became very impressed. "It tastes like a McDonalds milkshake with only 6 grams of sugar and no artificial sweetners"
As my wife tells me I have no taste buds meaning that I will eat anything just because it is healthy. So I may be a little off when I say that Shakeology tastes like a McDonalds milkshake with only 6 grams of sugar but everyone who I know that has tried it LOVES the taste as well. "Shakeology takes the HELL out of eating HEALTHY"
It's hard to believe that something that tastes this good can be good for you. I always like finding the food that "takes the HELL out of eating HEALTHY" and this is one of them. I created the Dr. Rodman Raw Bar for the same reason - to hide healthy nutrition while having a great taste. When I read about the nutrition in Shakeology I knew that this was something that I had to offer to my patients. "This is a great product that helps to heal people from the inside out"
Our food is our medicine. What we put in our body everyday is critically important to our overall health. Shakeology is a great way to get an abundance of great nutrition with great taste at one time. With a busy life it can be a challenge to always get a perfect meal. Shakeology fills in the gap in your nutrition and provides you with what you need to be healthy. It is different than any other shake I have tried. It provides you with the supernutrients that you need - phytonutrients, antioxidants, enzymes, pre- and probiotics, fiber, adaptogens, vitamins, and minerals. All good stuff that we need in one easy to take with you shake. As a physician I like when things are clinically proven from quality research and this product has that. 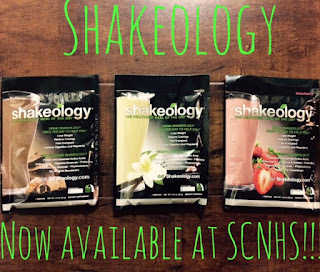 The following is from a Shakeology brochure: Because Shakeology nourishes your body with the nutrients it needs and craves, it can help boost energy, curb cravings, and promote regularity. Plus, it's been clinically proven to aid in weight loss, lower cholesterol, and reduce blood sugar levels (as measured by HbA1C). So whether you want to slim down or are seeking to get healthier, try Shakeology and discover what "healthy" truly is supposed to feel like. Go to "shop team beachbody" then scroll down to Shakeology. If you need additional help or have any questions please call our office at 561.313.9117 and we will be glad to help!